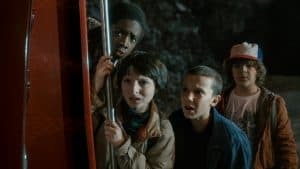 Unlike most people who stumbled on Stranger Things I didn’t do so out of a longing for 80’s nostalgia or a love of horror shows. I missed the initial launch of the series due to San Diego Comic-Con, but once I returned home everyone on my Twitter timeline was raving about it. And the praise was so vague I became curious. There were dozens of variations of “it’s so good” and “just watch it” and “trust me” so okay, fine, I’ll give it a shot. Yes, it’s 80’s nostalgia at it’s finest. Yes, it’s an incredible blend of horror and science fiction. But what got me is how it flips typical tropes on their head and delivers something entirely unexpected. 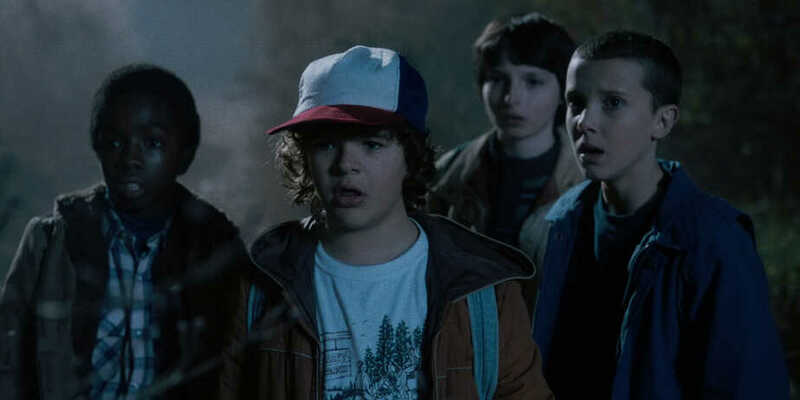 The main group of protagonists are a group of young boys, much like the children from Stand By Me or E.T. They are introduced immediately as a group of extremely geeky children, starting off the series in the middle of an intense game of Dungeons & Dragons. But this group feels different from the groups of children they pay homage to. There’s a depth to each character that I never quite felt with the others, despite having grown up with those films. Somehow the homage went a step further and created an ensemble that is both relatable and sympathetic for the viewers. I identified with these D&D playing nerds on a super deep level and was consistently blown away at their acting abilities. Finn Wolfhard’s performance as protagonist Mike Wheeler is particularly notable. The show has received a fair amount of criticism for its treatment of women, which I won’t go into in-depth due to spoilers, but there’s definitely a few issues. However, there’s an equally incredible amount of women in the cast who bring something amazing to the plot and they deserve recognition too. One of the protagonist’s sister, Nancy Wheeler, is introduced as a hard-working and popular teenager who could conceivably have anything she wants with little effort. These are typically the type of characters I loath. They are too perfect, too beloved, and end up becoming unintentionally selfish antagonists as they continue to become more popular with the “in” crowd. Her character arch takes unexpected turns, though, and she proves herself to be more than meets the eye. I wasn’t entirely pleased with her final scene in the show, but her arch was fascinating and worthy of praise. I never expected to like her as much as I did and I’ve got to applaud the writers for creating a character that goes against the standard archetype. Likewise, the character Eleven defied expectations in the best possible way. “Creepy little girls” is a cliché used in dozens of horror movies, particularly from the 80’s. But even with that cliché hanging over her head, Eleven is different. While the actress is quite a cute kid, the character is rough around the edges. Her hair is shaved and she has a constant look of fear in her eyes. When she uses her powers she becomes downright terrifying and blood drips from her nose. This isn’t the adorably but creepy children from your mother’s horror shows. This kid is tough and the actress, Millie Bobby Brown, is absolutely brilliant. Keep an eye on this actress because she’s definitely going places. The kid has some extreme talent. 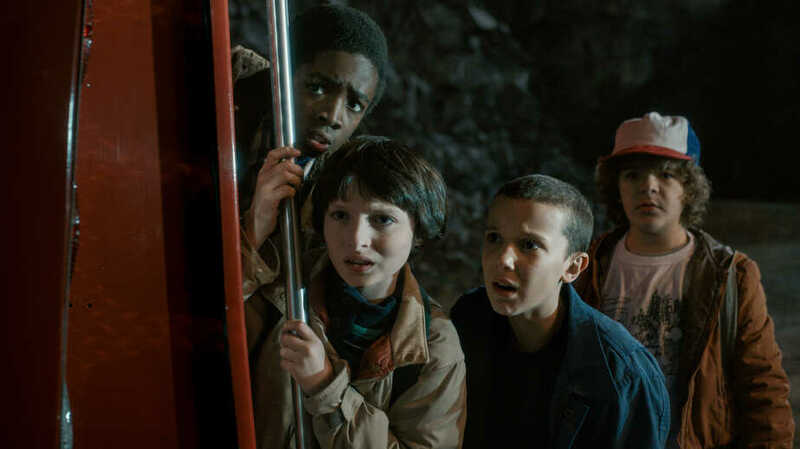 While I was initially not too terribly interested in Stranger Things, the unique take on common tropes hooked me. I ended up watching all eight episodes in a single sitting. I can see why my friends were vague about how amazing it is, though. Even the small bits of what I’ve said in this recommendation flirt the line with spoilers, though I tried to be very careful about it. I didn’t even talk about the monster because seriously, what can I say? It’s best to just let that happen to you with no preparation. So to echo my Twitter friends, “it’s so good” and “just watch it” and “trust me.” You won’t regret it. And watch it soon because Stranger Things season two was just announced and you don’t want to get left behind in the Upside Down. Click here to join the conversation on the FoCC forum.